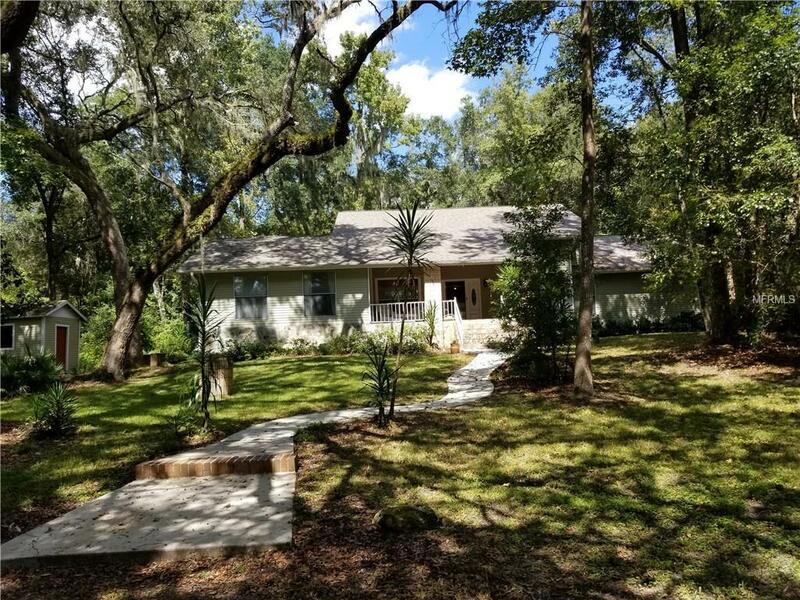 Welcome home to Paradise with privacy and peace found with this charming 2+ Bed 3 Bath beauty on 2.3+ acres. This home offers a brand new roof and almost 2900 square foot with an additional 1000+ exterior with decks, patio and screened in porch. The front porch overlooks the large flowing front yard with plenty of landscaping and a circle drive. There is also 2 cute sheds that look like mini homes that are used for storage and a hobby shop. Off the Master bed there is french doors exiting to a 11 x 8 private patio. The other main floor split bedroom has a bathroom off it and a walks out to a large patio. The kitchen-living room has a door leading to a screened in porch perfect for entertaining. Upstairs you will find 2 more spacious bedrooms with nice sized closets and a storage area. The interior is neutral throughout and offers lots of wood beams and trim. The kitchen has lots of cabinet space, tile back splash, a large breakfast bar with separate dining area for drinks. The home has zoned AC with the master side new in 16. Buyers will love the space that this beautiful offers and the separation that the land and nature offers. This home is aggressively priced for an immediate sale. Welcome to the Country life.